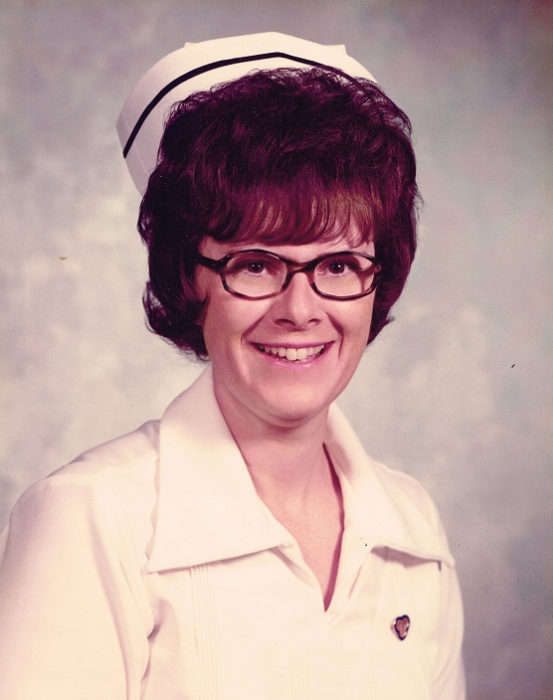 Sondra D. Cox, 76, of Lyons, passed away February 6, 2019 at Hospice House, Hutchinson. She was born July 7, 1942 in Great Bend, Kansas, the daughter of Mack and Clara Tickel Young. She graduated from Chase High School, Chase, Kansas, and received her Associate’s Degree in Nursing from Barton County Community College. Sondra has resided in Lyons since 1975, formerly of Chase. She was a retired registered nurse having served as Director of Nursing at Sandstone Heights Nursing Home, Little River, and Good Samaritan Society, Lyons. Sondra enjoyed supporting her grandsons in all of their athletic events; attended numerous country music concerts; loved fishing and her pets; and enjoyed going to the casinos. On May 31, 1975, Sondra was united in marriage with Richard Cox in Lyons. He survives of the home. She is also survived by her son, Mike Cox and fiancée Holly Meier of Little River, KS; and three grandchildren, Kody Cox and fiancée Kayley Schmidt, Kyler Cox and Kayston Cox. She was preceded in death by her parents; and two brothers, Stanley and Wesley Young. Funeral service will be 2:00 P.M., Tuesday, February 12, 2019 at Birzer Funeral Home, Lyons with Rev. Robert Friesen officiating. Burial will be at Lyons Municipal Cemetery. Visitation will be from 1:00 until service time Tuesday. Memorials may be given to the Bell and Star Fund in care of Birzer Funeral Home, Lyons. | 203 N 7th St.